For a small-business owner to be highly effective, he or she needs to be highly productive. Being highly productive serves three purposes: the first, most obvious, is that it enables you to get your work done, which is no small task given the pace of business. The second is that completing your work in a highly productive manner keeps your stress and anxiety levels under control. Controlling stress and tension is critical, since persistently high feelings of stress cause health problems, sap our strength, hamper creativity and negatively impact our ability to communicate effectively. But the third benefit of being highly productive is often overlooked: It’s the fact that being productive sets an example for the rest of our team. 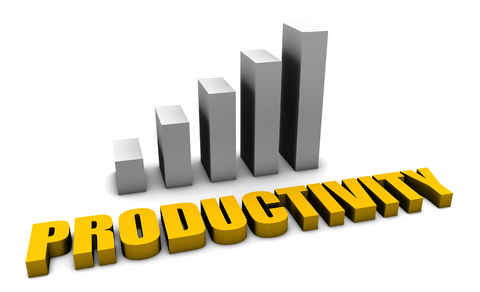 However, how we attain high productivity is as important as the productivity itself. Sacrificing one’s personal life, health and family isn’t the most admirable example to set. Therefore, the key is to become highly productive and set the example you’d like duplicated by your team. So, how do you do that? Most productivity strategies focus on things like prioritization, list-making and calendar management. But unless another critical factor is addressed, all the prioritization and list-making in the world won’t help. That critical factor? Personal energy. The issue of personal energy management has garnered growing attention in the last few years. It’s something I’ve done intuitively for many years and is supported in Jim Loehr and Tony Schwartz’s book, The Power of Full Engagement. Let me illustrate personal energy management by making an observation. Think about the last vacation you took; now think about the day before you left on that vacation. At work you were likely a whirlwind of activity, dealing with all the important voicemails, emails and paperwork. By the end of the day, everything important had been attended to—and basically, you had one of your most productive days. The interesting observation is that your high productivity had nothing to do with time management, calendar management or prioritized lists. Your energy levels and focus were at their peak, and your productivity reflected that. The energy I’m referring to has four components. I call these four energy reserves: Physical, Emotional, Mental and Inspirational. And maintaining your reserves is critical to being highly productive on a consistent basis. Whenever I discuss the topic of energy management, I like to draw an analogy to a four-legged stool. We’re all familiar with the analogy of a three-legged stool: All three legs need to be present in order to use the stool. Without all three legs, the stool is useless. But the story is a bit different with a four-legged stool. Unlike the three-legged stool, a four-legged stool can still be used even if one of the legs is missing. A person can sit on a four-legged stool missing a leg by exerting a bit of effort and balance. It’s not especially comfortable and requires an ongoing expenditure of energy to maintain, but it is functional. The same goes for our four energy reserves. We can function even if one of our reserves is depleted or all four reserves aren’t at the same level, but it’s inefficient, draining and can’t be sustained for very long. 1. Take breaks throughout the day. Take a 15- to 30-minute break every two to two and a half hours to recharge and rejuvenate. Taking breaks boosts all four of your energy reserves. Experiment with what works best for you during breaks. Don’t just sit at your desk—get up, go for a walk, get something to eat, listen to music, and get out of the building. 2. Eat strategically. Eat about five or six times a day, and make sure to balance protein, carbohydrates and fats. Eating strategically boosts your physical and mental reserves. Stay away from sugars and heavy starches if you don’t want a “carb crash” later. To help stay the course, bring snacks or small meals from home. 3. Maintain your attitude. If you don’t decide what goes into your head, someone else will. Maintaining your attitude boosts your emotional and inspirational reserves. Eliminate negative input from the news, the Internet and negative people. Introduce positive input from books and developmental or motivational programs, and surround yourself with positive people. 4. Get restful sleep. Getting restful sleep boosts all four of your energy reserves and is absolutely essential. Avoid caffeine late in the day—it really does keep you awake. You should also avoid eating a big meal late in the evening, since your body can’t relax if it’s working hard to digest. Don’t be fooled by the simplicity of these strategies. For years, they’ve allowed me to accomplish about 50 percent more than most people. Managing your energy reserves combined with prioritization of tasks will make you a productivity superstar.